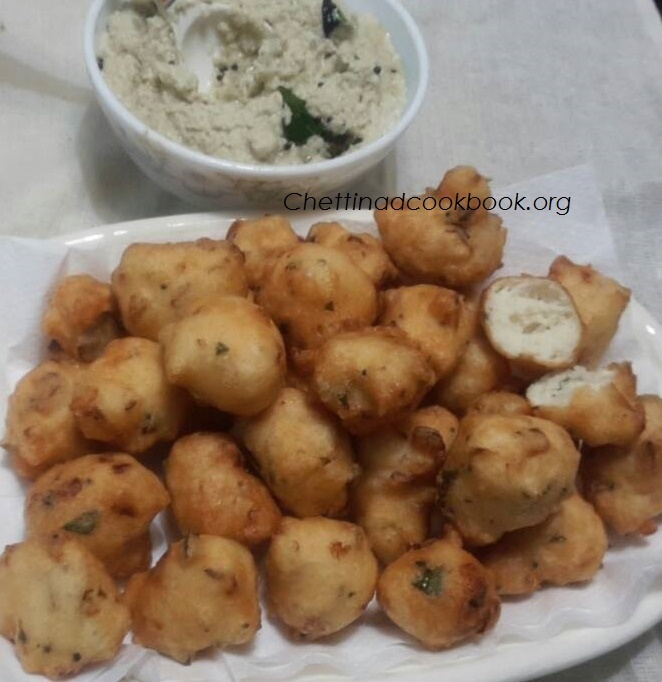 Chettinad delicacy Masala seeyam is served in Chettiar marriages and functions, tasty and crispy outer layer, soft inner part by the formation of nests inside, shows that seeyam is in perfect form.This wonderful appetizer can be prepared for either breakfast or as a teatime snack to serve,masala seeyam is very easy to make in large quantity, delicious to match with mint chutney, coriander or red chutneys.The batter can be prepared on the previous day to reduce your effort on the same day.In case you are preparing for your guest fry golden yellow in beforehand and fry again to a golden brown, serve hot and fresh. Measure raw rice and urad dal equally and soak it for at least for 2 hrs. Add water little by little and grind to a fluffy smooth batter. 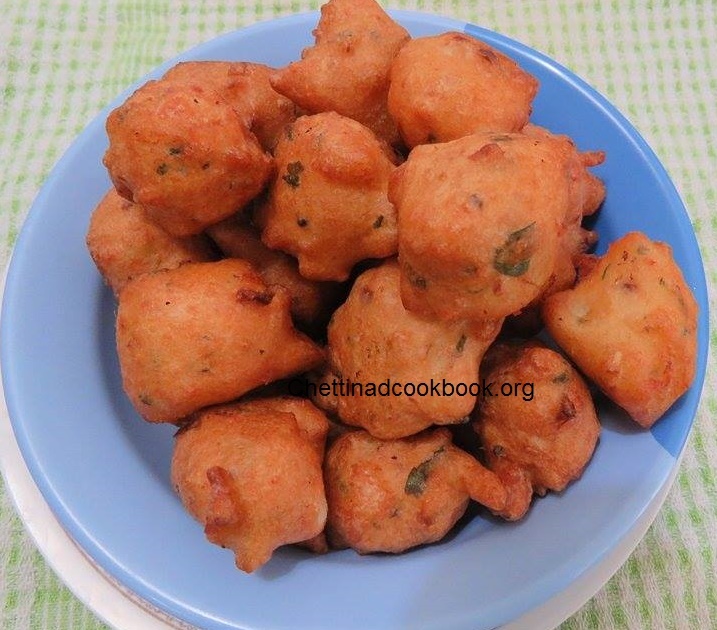 Batter consistency should not be more watery or too tight, as vada batter, it should be between both as shown in the picture. 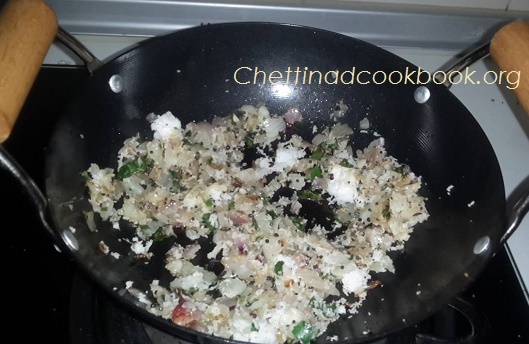 In a Kadai – heat oil, add Cumin and mustard seeds to splatter then add onions fry till slightly browned, then add curry leaves and coconut give a quick stir and switch off. Transfer the above-sauteed ingredients to the batter along with required salt and mix well. 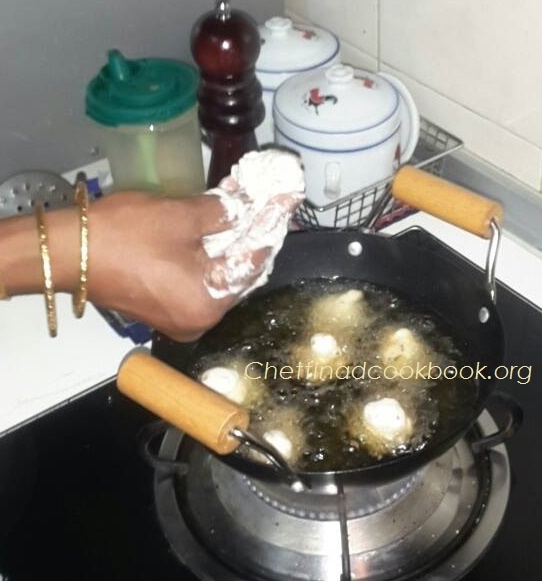 Heat oil ,when the oil gets heated up make the doughs into small round balls with your hand and carefully drop it into the preheated oil. Fry in medium flame otherwise outside will be crispy and inside will not be cooked properly. Turn over to other side and fry till golden brown.Drain in tissue now its ready to serve.